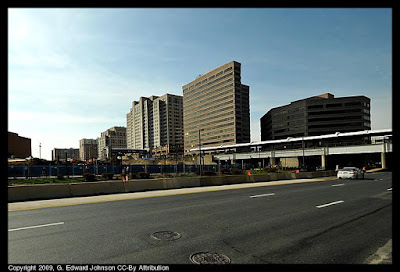 I do occasionally make it out of Bethesda and last week went to Silver Spring to see what was going on over there. The new transit center is slowly moving along and doesn't actually look very different from a month ago. It is still all bare dirt but it looks like they have excavated a lot towards the back of the site. They were actively digging while I was there.